Going about finding an individual/family plan on your own can be daunting, frustrating, and very confusing. Don’t go about it alone! We are highly trained experts in the health insurance industry and our help is no cost to you. We do not charge any fees for our assistance. Call, email, or drop in for your free consultation today. We can help almost every person in any situation. SelectHealth is an HMO based company that does not require a primary physician referral to access specialty care. They offer choices with a wide variety of networks, products and features that allow you to create a plan that is right for you. 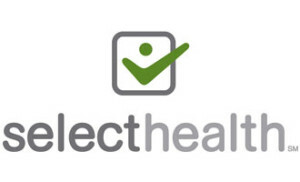 SelectHealth was the first commercial health carrier in Utah to receive “a Excellent” status by the National Committee for Quality Assurance and has received outstanding rewards ever since. They are NCQA accredited. 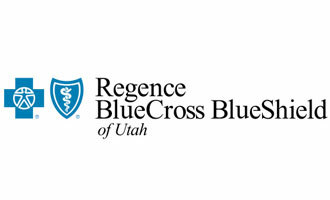 Regence BlueCross BlueShield is a EPO based carrier. They provide healthcare benefits across the country and have the best access to nationwide physicians. With access to the care you need and when you need it – BCBS policy holders can have peace of mind when at home or traveling the country. University of Utah Health Plans was formed in 1998 as a strategic initiative of University of Utah Health. We are committed to improving the member experience, quality of care, health of populations, and reducing the cost of care. We currently serve members in the Mountain West specializing in the health plan administration of medical, mental health and pharmacy benefits for fully insured and self-funded employer groups, individuals and families, as well as Medicare and Medicaid. Please, click the link provided to learn more about the life insurance we offer, read up on important life insurance information and to get a quote. The PPACA (Patient Protection and Affordable Care Act) has brought about many changes to the health insurance industry and has affected every single American. We are PPACA certified and can answer any and all questions you may have about this new law. Although it changes under our feet every single day, we strive to be experts on the new law and are an invaluable resource for you through these confusing times and changes. For more information, please go to our “HealthCare Reform” tab. We’re also available to call, email, or schedule a one-on-one appointment. If you’ve experience one of these events, please call us for assistance. We’d be happy to help you enroll into a policy or help you change your current coverage. Stand-alone dental policies may have waiting periods and different tiers of coverage. We highly recommend talking to one of our agents before enrolling so that we can assure you’re going with the best policy for your particular needs. Interested in travel insurance? Click here to view our options. We always recommend talking with one of our agents before enrolling so we can assure you’re making the best possible decision for your needs and budget.